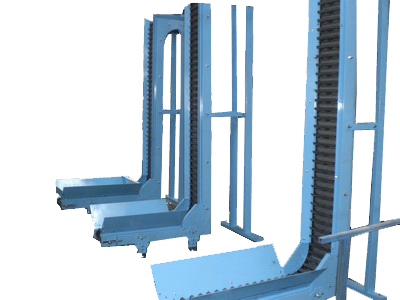 Chain Drive : High efficiency, belt without sliding and deviating. Surface with convex with height 4mm for anti-slip when inclining. Slat is not easily damaged. Partial change if the slat is not good. With small covers at the two sides of the bed to avoid any things into the chain. Support is adopted the height's rotary adjuster for fine turning in part. 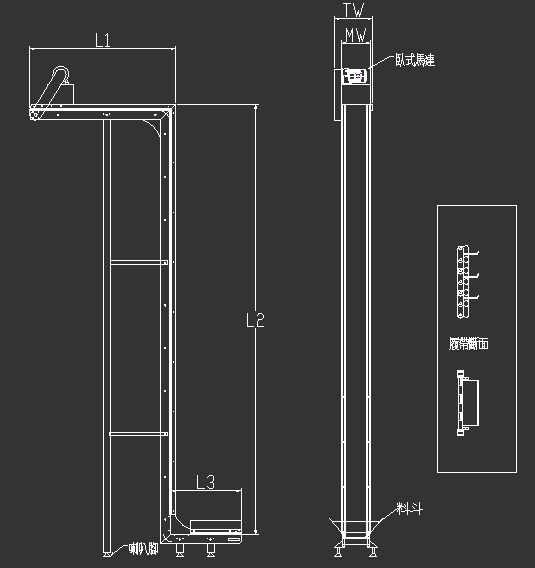 Dust and material are not easily accumulated as external flat design of machine body. Welding the extra cleat for the best inclining efficiency. Material : Steel (T: 2mm). Material : Steel (T: 2.3mm).